The Koshin PB-68011 3 in. 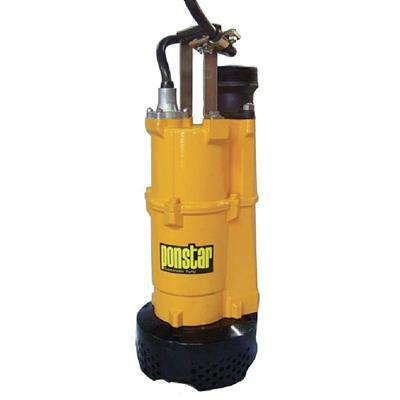 2 HP 120/240-Volt Submersible Pump is designed for moving large quantities of water. With its top discharge making this pump slim. It can fit into openings as small as 9-1/2 in. diameter. This unit features a maximum pumping capacity of over 7,286 gal. per hour.